Police Monday evening identified the man and his 14-month-old son who died in an apparent murder-suicide in Presque Isle over the weekend. 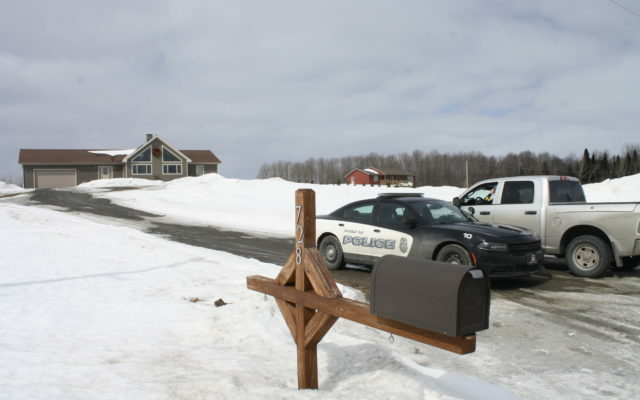 PRESQUE ISLE, Maine — Police Monday evening identified the man and his 14-month-old son who died in an apparent murder-suicide in Presque Isle over the weekend. Matthew Leavitt, 35, shot and killed his son, Quinten Leavitt, before he shot and killed himself, according to Stephen McCausland, spokesman for the Maine Department of Public Safety. Both died from a single gunshot wound, according to the state medical examiner’s office, which conducted the autopsies Monday. Presque Isle police were called Saturday to the Leavitt home at 728 Reach Road in Presque Isle where a standoff ensued, McCausland said. The Maine State Police Tactical Team and negotiators also were requested and arrived during the night. Early Sunday morning, members of the tactical team went into the house and found two bodies inside. McCausland said then that the case was being treated as a domestic violence murder-suicide and that there was no ongoing threat to the public. Police did not report whether anyone else was in the home over the weekend and would not divulge any more information. A birth announcement from Bangor Daily News archives shows that Quinten Louis Leavitt was born Dec. 27, 2017, to Melissa and Matthew Leavitt of Presque Isle. Another earlier birth announcement stated that the couple also had a daughter in November 2013.